The Xerox WorkCentre 6605 is our most popular model for small businesses and small work groups! This color multifunction printer comes with copy, print, fax and scan. The 4.3 inch color touch screen user interface makes it easier to perform scanning and other functions. 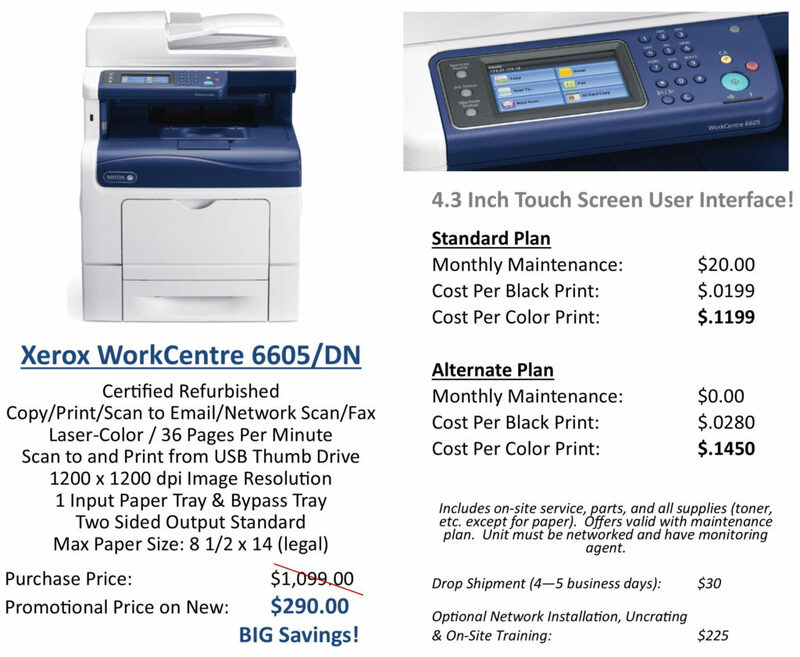 Currently, we have big savings on the Xerox 6605! Combined with our low cost maintenance and supply plan, it will provide even greater savings for your office! Contact us for more information on the Xerox WorkCentre 6605 today!